The Nike Oregon Project runner came as close as one can to breaking Hicham El Guerrouj of Morocco’s 3:48.45 world indoor mark set in 1997. 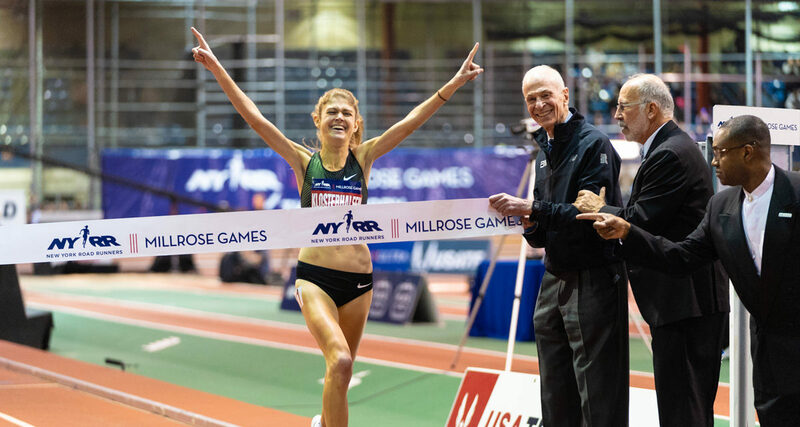 Germany’s Konstanze Klosterhalfen dominated the Women’s NYRR Wanamaker Mile from start to finish en route to the winner’s circle. She finished with a 4:19.98 ahead of runner-up and defending champion Colleen Quigley’s 4:22.86. 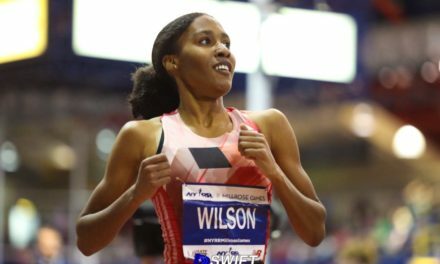 Olympian Ajee’ Wilson entered Saturday owner of the American 800m outdoor record. 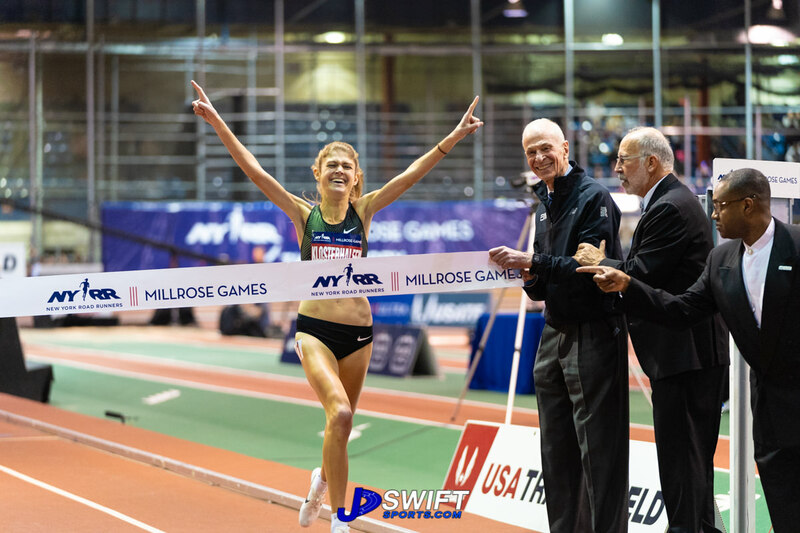 When she left The Armory Saturday night she also had the American 800m indoor record. Wilson finished with a 1.58.60 to surpass Nicole Teter’s 1:58.71 mark set in 2002 to win the Jack & Lewis Rudin Women’s 800m. 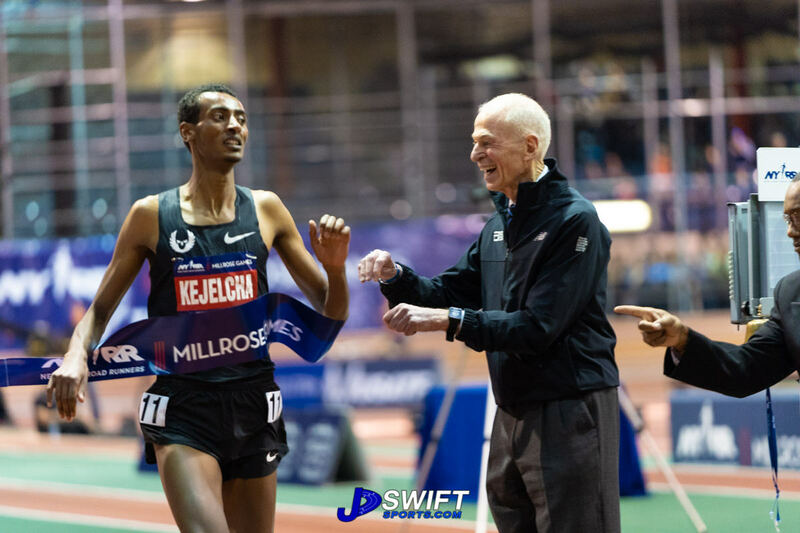 Kejelchar’s Nike Oregon Project teammate Donavan Brazier turned in an American indoor record performance in the Mel Sheppard Men’s 800m with a 1:44.41, bettering Johnny Gray’s 1992 mark of 1:45.00.Michael Saruni won the Men’s 800m with a 1:43.98 to set the Kenya indoor record and defeat Brazier in one of the night’s closest races. 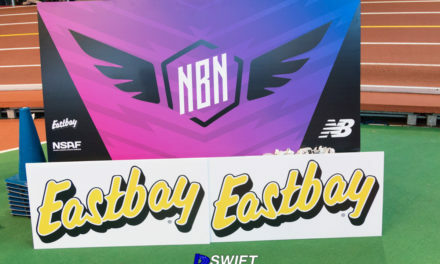 Olympic shot put gold medalist Ryan Crouser didn’t disappoint the fans, winning the Whole Foods Men’s Shot put with a Millrose Games record 73 feet, 3.25 inches throw. Crouser’s throw is the fourth longest throw ever indoors. The world record belongs to American Randy Barnes with a 74-4 ¼ throw in 1989. Olympic silver medalist Joe Kovacs’ turned in a best 68-5 ¼.
Jessica O’Connell set the Canadian national women’s 3,000 record in the Fred Lebow Invitational. 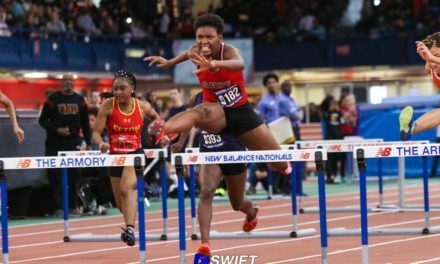 O’Connell’s 8:46.50 placed her third behind the American duo of Alicia Monson (8:45.97) and Rachel Schneider(8:46.44).